Wachusett ace Jake Gigliotti (pictured) has the Mountaineers on the verge of the top overall seed. For the second straight season, SuiteSports is excited to unveil our only bi-weekly Super Eight projection of the season. Our top five teams remain the same from Sunday, albeit in a different order. There are changes amongst the final three teams in our projection as well as those we see just outside on the "bubble." We have also added two new characteristics for teams - "games vs. teams above .500" and "record vs. teams in consideration." At this point we believe that the following teams are under some level of consideration: Wachusett, BC High, St. John's Prep, Mansfield, Central Catholic, Austin Prep, St. John's Shrewsbury, Franklin, Lexington, Belmont, Catholic Memorial, Xaverian, St. Peter-Marian, Walpole, Andover, and Masconomet. This, of course, could change over the final three days of the season with a number of teams looking to put the finishing touches on their resume with big non-league games on the docket. With just over three days to go, here is SuiteSports’ MIAA Baseball Super Eight Projection 4.0. We will release our final projection on Sunday June 3rd, with the meeting set to take place on Sunday night at 6pm. 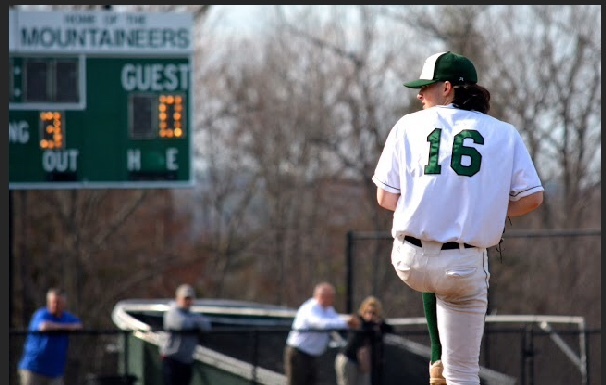 Overview: Wachusett in all likelihood sealed the top seed in this year’s Super Eight with a 3-0 win over a red-hot St. Peter-Marian team on Tuesday afternoon. They have a chance to leave little doubt on Thursday when they go for the regular season sweep of St. John’s Shrewsbury. Overview: BC High closed the season playing as well as anyone, winning their final eight games with eight of their nine starters hitting above .300. Mike Vasil is on the verge of becoming the first player to reach four Division 1A "Super Eight" tournaments. Overview: St. John’s Prep will certainly be in the running for the two-spot as long as they take care of business versus Billerica and St. Peter-Marian to close the regular season. The Eagles are expected to get Max Gieg back this weekend, which will be a huge addition to their already superb pitching depth. Overview: Seeds four through eight continue to remain wide open in this year’s field as up to as many as 10 or 11 teams could go in any of these five spots. With the way Mansfield has played down the stretch, however, it seems almost a guarantee that they should grab one of these spots if they take care of business Thursday and claim the Hockomock Kelly-Rex title. They have big non-league wins over Xaverian and Walpole and two legit starting pitchers in Tyler Dalton and Kevin Dow. Overview: Central Catholic has two tests remaining to prove it is worthy of a Super Eight berth, first against Haverhill on Thursday and then versus Andover on Saturday afternoon. If the Raiders can take care of business, they should be in line for their second straight Super Eight appearance. Anything else could make for a nerve-wracking Sunday night. Overview: As of this moment, the Pioneers certainly have the resume of a Super Eight team. They have seven games against teams in consideration and have big wins over Xaverian, St. John's Prep, and St. Peter-Marian. The Pioneers are also, of course, the defending champions. Without their top two starters available to pitch, however, it will likely take a win over Wachusett on Thursday afternoon for St. John's to feel good about its Super Eight aspirations. Overview: The Cougars started off a huge final week of the season for them with a big, 3-2 win over Reading behind Colina Jeana's go-ahead two run single. With relatively few games against teams in the conversation, however, the ultimate deciding factor for Austin Prep may come Thursday when they take a trip to Belmont. The winner between those two teams could very well be in the driver's seat to secure one of the final two spots. Overview: For the first time this season, Franklin makes its way into our Super Eight projection grabbing the eighth and final spot with three days to go. The Panthers finished their season on a high note, knocking off North Attleboro 6-1 in extras behind eight innings of one run ball from ace Jake Noviello. The biggest thing Franklin may have going for it are its big non-league wins over Catholic Memorial and Walpole - two teams just on the outside in our opinion that are looking to sneak their way into the field.